A few months ago, Simon Senek, an author, speaker, and consultant, was interviewed about millennials in the workplace. The video of this interview has been viewed over 5.4 million times since it was posted late last year. In the video, Senek first describes the forces that have created the tendencies of the millennial generation. He follows to point out that most companies are not doing enough to help millennials re-work unhealthy and unproductive tendencies that adversely impact the workplace. He also makes sure to mention that, yes, it is the responsibility of employers to steer millennials toward more productive behaviors. Who else is going to do it? As a millennial myself (I’m on the older side of the age bracket according to most definitions), I can point to times where I have displayed the prototypical characteristics. I have also observed dozens of businesses from the inside out in the past few years. With these experiences in tow, here are some thoughts on how to engage millennials in productive ways. 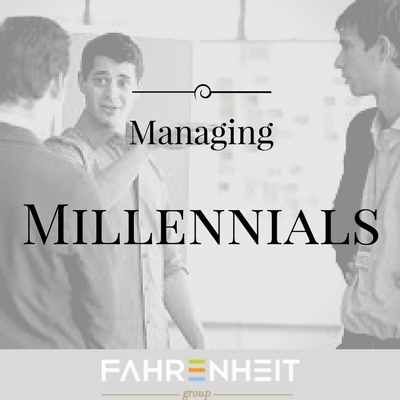 Communicating a growth path will help you keep the right millennials in your organization. Many Millennials are driven by achievement and accomplishment. Their impatience for professional progression often frustrates employers. However, when employers communicate a path for growth, realistic timelines can be discussed and concrete milestones can be defined. The timeline is obviously not a guarantee, and the prototypical millennial will think that it is, so be sure to qualify the path appropriately. Because the “You are so smart” mentality that Senek says contributes to the expectant tendencies of millennials, autonomy is expected but accountability… not so much. Millennials want to own their own projects but need to understand that accountability is, and has always been, an unreplaceable part of the workplace. Instead of setting up check in meetings where questions are lobbed from higher-ups to millennials, try giving your millennials an opportunity to “present” their update. Any unanswered questions and other directives can follow. This concept promotes accountability and helps millennials develop healthy habits going forward. Even if your organization doesn’t have an overtly philanthropic product or service, you can still activate the do-good tendencies of the millennials you employ. Whether it is offering paid service hours, making it known that the company will support charities and causes that are important to employees, or strategically selecting an organization for the company as a whole to support, millennials will react positively to the effort. Developing strategies to leverage the tendencies of millennials in the workplace is paramount for today’s business owners. Doing so might make the difference between losing talented employees and increasing the quality and value of your company.